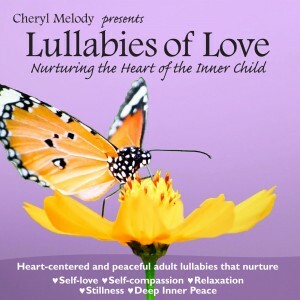 Soothing lullabies for adults with words that help to nurture self-love, compassion, healing, re-parenting, stillness, relaxation and deep peace. Introducing a relaxing Sound Healing CD for adults, filled with calming adult lullabies, sounds of the ocean and river, light piano, and an inspirational and soothing spoken word, meditation and visualization, all helping to reduce stress, and create healing, relaxation and deep inner peace. The CD is for all faiths, with no specific religion specified. It is for everyone and anyone. It is a precious and gentle CD, filled with vibrations of unconditional love for resting, healing, relaxing, breathing in the silence and noticing each moment. Wellness, balance for the body, mind and spirit, stress reducing, helps with insomnia, anxiety reducing, helps to provide inner peace in the face of illness. 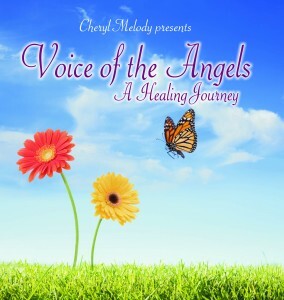 “Voice of the Angels-A Healing Journey” is useful as a relaxation tool for anyone, and can be used as a modality if you are a therapist, music therapist, massage therapist, hospice volunteer, Alzheimer’s counselor, cancer support group advisor, yoga teacher, hypnosis expert, wellness doctor, meditation teacher.